No idea, don’t see anything like it on the identification sheet. Looks like a pressed version of some yunnan puer that I have. If so, I’m looking forward to the nice strong almost mossy-mushroom flavor that it has. Pouring the first cup, I think I may be correct. It certainly smells pretty similar. 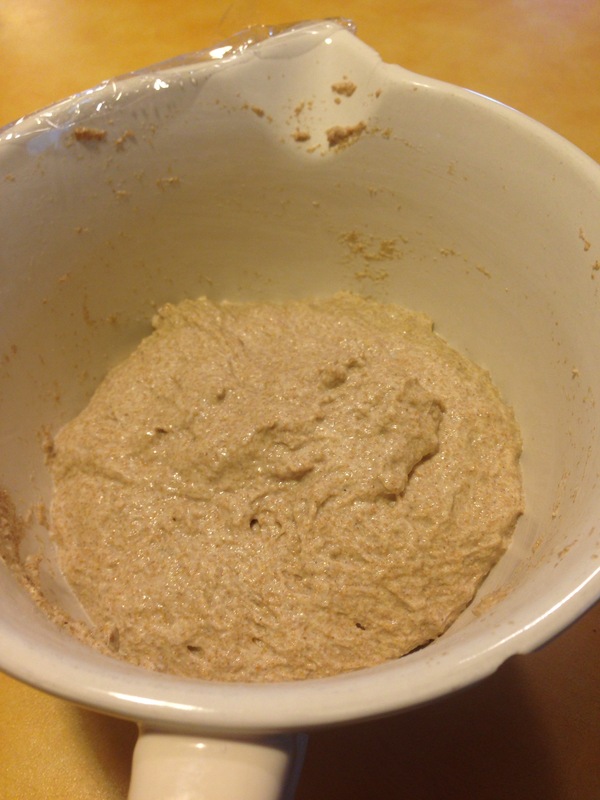 I made a similar loaf last weekend and it turned out good, surprisingly good for 100% whole wheat. 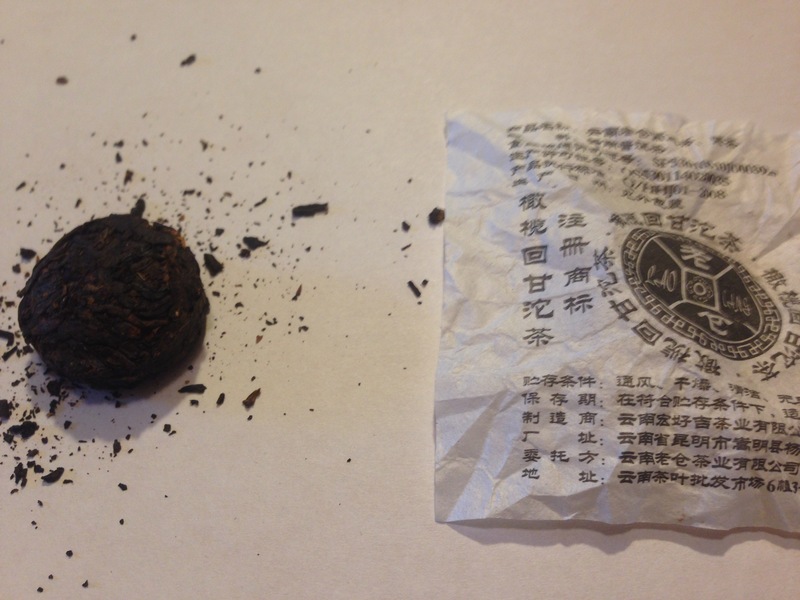 Edit: I’ve since learned this is an emblic fruit flavored puer. Too bad I didn’t really notice anything that could’ve been that. 03 Apr	This entry was published on April 3, 2016 at 9:30 am. It’s filed under Bread, Brewing, Drink, Tea, Uncategorized and tagged andrew vochman, drink, food, introduction of heat, puer, tea, yunnan. Bookmark the permalink. Follow any comments here with the RSS feed for this post.